Today's video takes a look at One, an oft-forgotten PS1 action game from ASC Games. BREAKING NEWS: Koji Igarashi, the man largely behind Castlevania: Symphony of the Night, has left Konami as of March 15th. He has apparently left with designs on starting his own development house. Capcom has been attempting to mend fences with jaded fans over the last six months. First there was the release of the superb DuckTales: Remastered, which was for my money, one of the best games released in 2013. Then there was an announcement that Hiryu would once again battle Grandmaster Meio in an all new Strider game. Some skeptics wondered if a Strider game, with it's generally linear gameplay, had a place in 2014. There was also trepidation when it was discovered that Double Helix would be handling development. For the uninitiated, Double Helix has made some pretty mediocre games, so it's was a valid concern. Thankfully, on February 18th, Strider put all concerns to rest. Double Helix has done an amazing job of capturing the spirit of what made Strider a bonafide classic for Capcom and Strider 2 a legitimate cult classic and certifiable hidden gem for the PS1. Story wise, this Strider is essentially a retelling of the story in the Arcade title. The Striders are a group of elite ninja-like operatives who specialize in all manner of wetwork. Their youngest member, Hiryu, is the youngest Strider to reach "A-Rank"or elite status among the group. Hiryu is given the task of infiltrating Kazakh City and assassinating a tyrannical despot, Grandmaster Meio. Kazakh City is broken into several main sectors: Kazakh City, Military Ring, Underground, Research Facility, and Tower, and these main sectors contain several smaller areas. 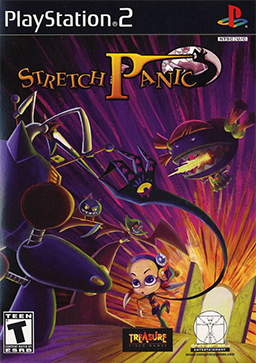 This vast game world is tied together in an industrial web of sorts, with gamers being able to bounce back and forth between areas pretty easily as long as you have the item to access a particular door. 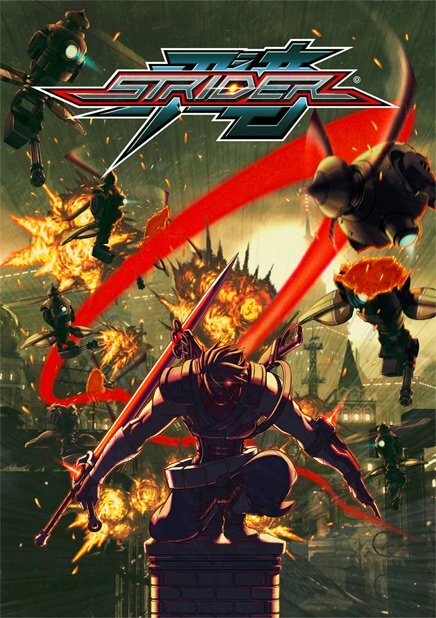 Another main difference in this iteration of Strider that sets it apart from others is the addition of a variety of augments for Hiryu's sword, the "Cypher", Projectile weapons, and the return of Hiryu's robotic helpers. All of these weapon enhancements also serve a secondary function that allows Hiryu to traverse the vastness of Kazakh City with ease and access the numerous bonus items. Classic bosses from the original Strider game like the Armored Dragon, Solo, Mecha Pon, and others return in a major way to attempt to thwart Hiryu. There's also a lot of other little bits of nostalgia sprinkled in with unlockable character art, remixed versions of tracks from the NES and Arcade soundtracks. Strider is definitely as much about paying respect to the past as it is about drawing in new players. All in all, Strider is a testament to the right property being the perfect fit for a developer to truly resurrecting their reputation. Double Helix took a franchise that many younger gamers know very little about and with a major degree of TLC, made it one of the better titles Capcom has put their names on in a few years. Here's to hoping Capcom has returned to form and won't just drift back into old habits of constantly rehashing Street Fighter and Resident Evil titles on a near yearly basis. Hiryu's latest mission is a marvel of great gaming, and definitely worth the $15 price tag if not more. Now, for me to get this petition for a Legendary Wings sequel or remake going. Capcom, make it happen.